A great simple clean black and white social media icon set perfect to be used within minimalism designs. The icon set is available to be used within commercial and non commercial design projects to enjoy. A great free simple minj social media icon set perfect for minimalistic website designs, each icon within the set is 64 pixel by 64 pixels. 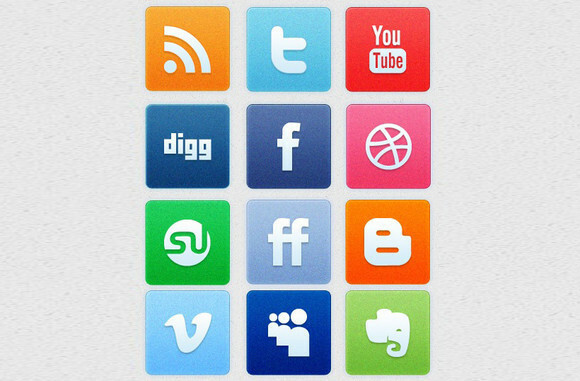 SocialMate is a free, exclusive set of 28 social media icons for your website and design projects. These icons come in 2 variations for use on dark and light backgrounds. 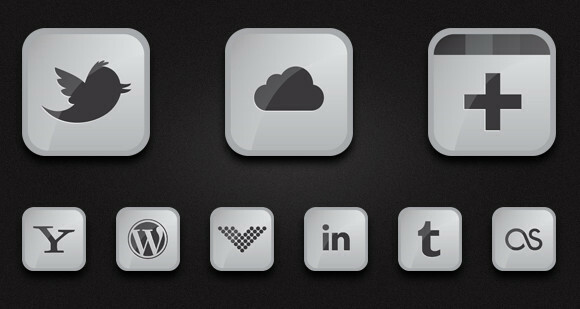 Mini Social Icon Set, 25 Layered Social Icons In PNG JPG & PSD Format. 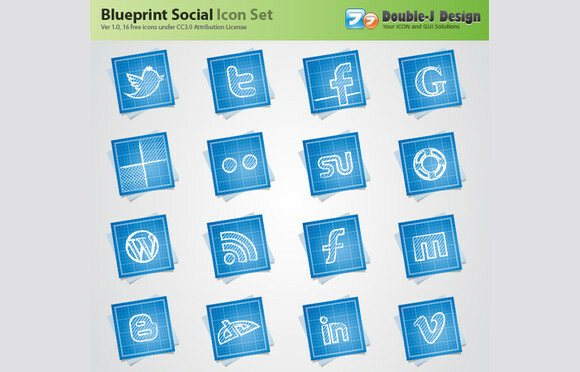 Blueprint Social is a set of 16 free icons for major social. 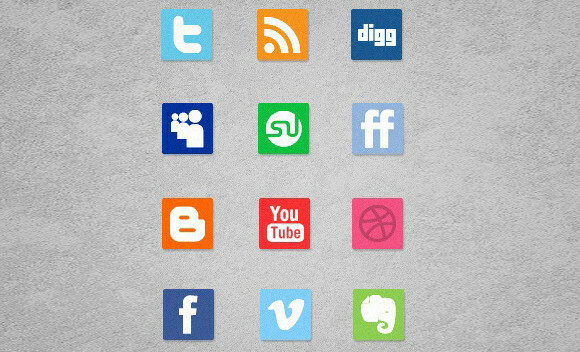 In this version it features Facebook, Twitter, Google, Delicious, Flickr, StumbleUpon, Design float, WordPress, RSS, Furl, Mixx, Blogger, DeviantArt, Linkedin, Vimeo. 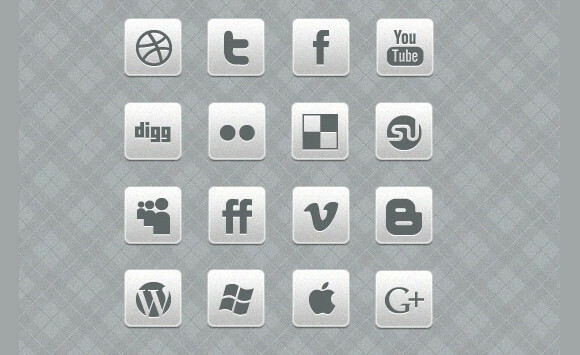 This free icon set, by WordPressThemeShock, consisting of 10 icons for social media sites, as well as common content-sharing icons like an RSS feed icon and an email icon. 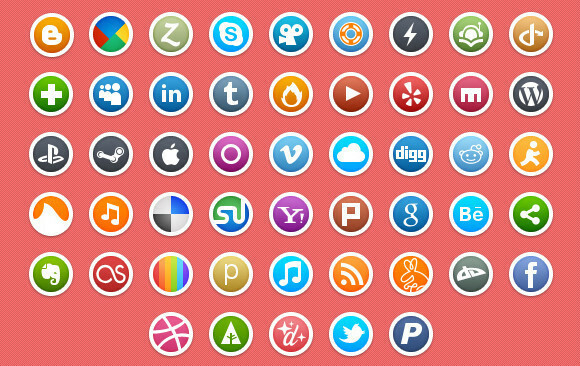 This Set includes 50 beautifully designed icons for popular social websites. 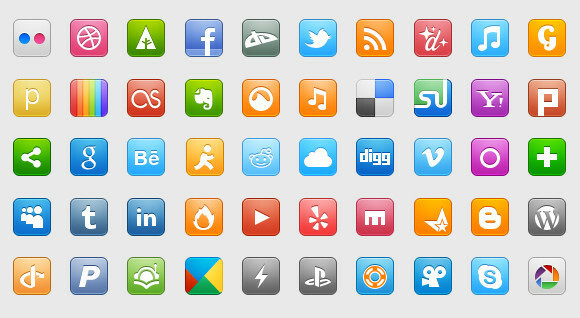 This set contains some outstanding Circle Social Media Icons. IC Minimal Icon Set with original PSD file included. This is a great icon set which we created playing with the Photoshop blending options and filters. The icon set is available to be used in commercial and non commercial design projects, therefore I hope you are able to put these icons to good use.